In a tribe where basic survival is the only priority, Kita must make a choice: to accept arranged marriages and being treated with less value than sheep, or escape and journey to the place that even the strongest men fear with their lives — Witch Crag. But a common threat is facing the witches and sheepmen alike. The tribes must somehow overcome their prejudices and join together if they are to win a war that threatens to destroy everything they hold as good. 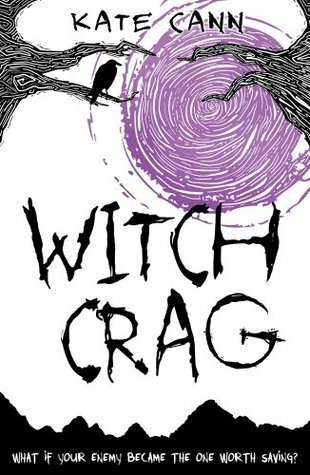 Witch crag was an interesting read which I enjoyed. Witch crag follows the story of Kita. Kita lives in a future world in a tribe ruled by one leader who is harsh. Women are treated like second class citizens and everyone lives a hard life working long ours from a young age to produce enough food to keep the tribe alive. What struck me about this book was how easily I was drawn into Kita's world and how fascinated I found myself with her. I loved he relationship she had with her friends and I loved her spirit and seeing how she desperately wanted to have more than what her life offered her and the ways she went about seeking more out for herself. The story itself is beautifully written and keeps you engrossed from the first page to the last and doesn't hold back when talking about the nastier side of Kita and the tribe's existence. A fab read which I enjoyed.